A few weeks ago, I had the pleasure of speaking with Laurie Edwards, a writer and blogger who examines chronic illness, healthcare, life balance, public health history, and everything in between. Among other topics, we talked about the role of social media and mainstream media in the vaccine debate. So I thought of that conversation as I watched last night's re-run of PBS Frontline's special "The Vaccine War" (originally aired April 27, 2010). I highly encourage advocates on both sides of the issue to check it out. The piece was quite balanced with interviews on all sides. For example, we heard from vaccine advocate Dr. Paul Offit, bioethicist Dr. Arthur Caplan, anti-vaccine advocate parents in Ashland, OR (with one of the lowest vaccine rates in the country), Jenny McCarthy and her colleagues at Generation Rescue who continue to argue for evidence of the link between vaccines and autism, and from parents of a girl who almost died at 6 weeks from whooping cough. A new generation of parents that are too young to know the devastating effects of vaccine-preventable diseases like polio. One interviewee used a term that I really like- "Community Recollection". As Community Recollection of these diseases disappears, we can become complacent. A false sense of security because many of these diseases are not seen frequently in the United States. However, we forget that with the ease of air travel, borders are almost non-existent. For example, the piece followed an outbreak of measles in San Diego that started when a non-vaccinated 7 year old from the US contracted it while vacationing in Switzerland and brought it home to classmates. The Internet. While it also offers many positive benefits regarding healthcare (e.g., access to information/publications; online support groups and connections with a "community" of individuals with similar diagnoses)- it also has its potential downfalls. False or unproven information can go viral and it is hard to retract! They use the example of the youtube video of Desiree Jennings (a 25 year-old Washington Redskins cheerleader) that claimed that a flu shot caused her debilitating muscle disorder. So how can Public Health compete with the Media and the Internet? Let's not compete. Let's collaborate. Let's learn (either through our own capacity or collaboration) to effectively communicate public health information online. Our biggest audience (the public) is not usually reading our peer reviewed journals or attending our annual conferences. This is already starting to happen. Public health organizations have active Facebook and twitter accounts, blogs, videos. Let's keep going. And let's train our public health colleagues/students in health communication. Let's remember to share the spotlight with celebrities and other spokespeople that have influence over the public. Like it or not, the way people get their health information and make decisions is changing. They do not just agree with doctors or scientists. I almost always see these debates featuring Public Health (scientist speaking in jargon) vs. Celebrity/Parent with moving emotional story about their child being injured by a vaccine. That is hard to compete with! 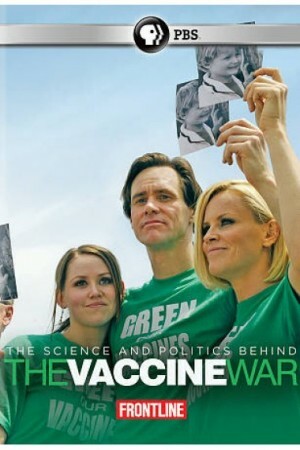 Believe it or not (because we seem to only hear from Jenny McCarthy), there are also pro-vaccine celebrities. Jennifer Garner and Kristi Yamaguchi have been flu vaccine advocates. Jennifer Lopez and Keri Russell have been pertussis vaccine advocates. Let's make sure the public knows that. Let's think about the framing and marketing of vaccination messages. When the HPV vaccine is framed as a Cancer Vaccine for both boys and girls...versus an STD Vaccine for just girls/young women it is perceived very differently by the public. What can we do to change the current "Community Recollection" about vaccinations? Other suggestions regarding how public health can collaborate with the media/internet sites to communicate more effectively with the public?